New From Sher Music Co.
First up is pianist Jeb Patton’s An Approach to Comping: The Essentials-A Guide to Jazz Accompanying ($34, with two CDs), a massive, 272-page tome that progresses smartly and evenly through degrees of difficulty as well as the history of jazz piano. Patton begins with boogie-woogie rhythms and an introduction to basslines, begins developing the left hand and introduces the blues, then makes his way through ii-V-I and “Rhythm” changes, bebop ideas (homing in on bop masters Bud Powell and Barry Harris) and works into postbop and hard-bop ideas. Particularly impressive is Patton’s written instruction, which makes taxing concepts like vertical/horizontal comping approaches digestible. In Playing for Singers ($25), Mike Greensill spends a lot of ink offering fairly general, hard-learned lessons on backing vocalists-for instance, the importance of knowing a tune’s lyrics, or how to organize rehearsals. But he also focuses on the singular technical demands of this sort of accompaniment, including the pianist’s de facto role as a singer’s arranger, and how the dynamic changes when the singer fronts a duo or trio as opposed to a lone piano player. Sage quotes from Bill Charlap, Madeline Eastman, Jimmy Rowles and other pros are peppered throughout the text-heavy 121-page book. Pianist David Berkman makes some heavyweight observations early in his 206-page The Jazz Harmony Book ($32), based on a graduate course he teaches at Queens College. As he explains, most of the changes to the jazz language over the past 15 years have been rhythmic, but historically innovations have taken place in jazz through shifts in harmony. Pres, Bird and Trane mostly played in straight, human meters, Berkman writes. He also bucks the prevailing notion that jazz harmony is academic knowledge to be mastered and repeated without variation; instead, Berkman argues, it once was (and should be) an intuitive, almost folk-like process used to personalize and revitalize familiar material. The insight doesn’t let up from there, it just gets more technical. More vital harmony lessons arrive with saxophonist Dan Greenblatt’s Minor Is Major! ($28), a 150-page guide to improvising over minor-key chord progressions that is full of transcriptions of Trane, Bill Evans, Wayne Shorter and others. For those who exhaust their store of pentatonic licks within two choruses on a minor blues and feel they have nowhere to go, Greenblatt expounds on the harmonic and melodic minor scales, hybrid, whole-tone and diminished scales and more. Guitarist and instructor Barry Solomon understands how slight the supposed divides between American musical styles really are. In Bluegrass Jazz Guitar Volumes 1 and 2 ($26.99 per vol. ), he connects Django to Don Reno via standard tunes that jazzbos and bluegrass flatpickers should know front-to-back. Volume 1 features “Lady Be Good,” “Take the ‘A’ Train,” “Solly’s Blues,” “Back Home Again in Indiana,” “There Will Never Be Another You” and “Georgia on My Mind”; Volume 2 includes “The Way You Look Tonight,” “All of Me,” “Oh, Baby” and “Limehouse Blues.” The book/three-CD combos, released by Mel Bay and Stefan Grossman’s Guitar Workshop, lean toward the bluegrass player in terms of information and especially notation: chord charts and chord progressions, with the melody lines separated out in tablature. The accompanying discs go beyond mere illustrative examples, though, coming off more like what you’d hear if you let a digital recorder run during a private lesson with Solomon. Want to sound like an old Blue Note LP? Of course you do. Zildjian’s new Kerope line of handcrafted cymbals evoke the company’s storied K cymbals of the 1950s and ’60s, though they aren’t straight reissues. 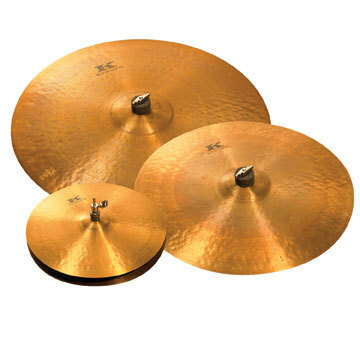 Developed by Zildjian and endorser Zach Danziger, the Kerope line includes 14- and 15-inch hi-hats and 18-, 19-, 20- and 22-inch rides. Fender is celebrating the 60th anniversary of the Stratocaster throughout 2014, with some gorgeous, highly collectable ’54-inspired instruments. The ax that caught our ears at this year’s NAMM show, however, was the American Deluxe Strat Plus, which essentially combines three guitars into one using easily interchangeable (and included) “personality cards.” Before getting into the gadgetry-which, it’s worth pointing out, is analog-Fender offers a top-of-the-line Strat here: N3 Noiseless single-coil pickups, staggered deluxe locking tuners, Micro-Tilt neck adjustment mechanism. With the cards, which are based on some of the most common Strat mods, the tonal possibilities snowball. The “Standard” card offers traditional wiring; the “Cutter” is a treble/bass cut; and the “Blender” blends the neck and bridge pickups. An HSS (with a Twin Head humbucker in the bridge position) model is also available, and ships with the “Standard” and “Cutter” cards plus a “Splitter” that separates the humbucker. Take a break from the soldering gun. Just when you think Roland’s stage piano line can’t get better, in terms of playability and realistic sounds, the company rolls out a newer model that trumps your purchase from a few years ago. Case in point: the new RD-800, an 88-key triumph featuring more acoustic piano choices and a hammer-action weighted touch. In addition to those acoustic sounds, Roland’s SuperNATURAL tone engine offers new electric piano and clavinet options; there are more than 1,100 sounds in all, among them organs and synths of all eras. A color LCD screen, dedicated controls and LED indicators ease onstage use. Following the introduction of a brush designed specifically for cajón years ago, Regal Tip now offers two additional cajón brushes, both with adjustable control rings but designed for different attacks: The Wave, with its serrated bristles, leans legato and the smooth-bristled Swish is better for staccato playing. What an idea: If vintage French saxophones are the tonal holy grail, why not seek out their original materials but utilize contemporary precision manufacturing? Sax Dakota is doing that with the company’s new SDA-XR 82 alto and SDT-XR 92 tenor saxophones, crafted using raw bronze, which is then gorgeously hand-engraved. 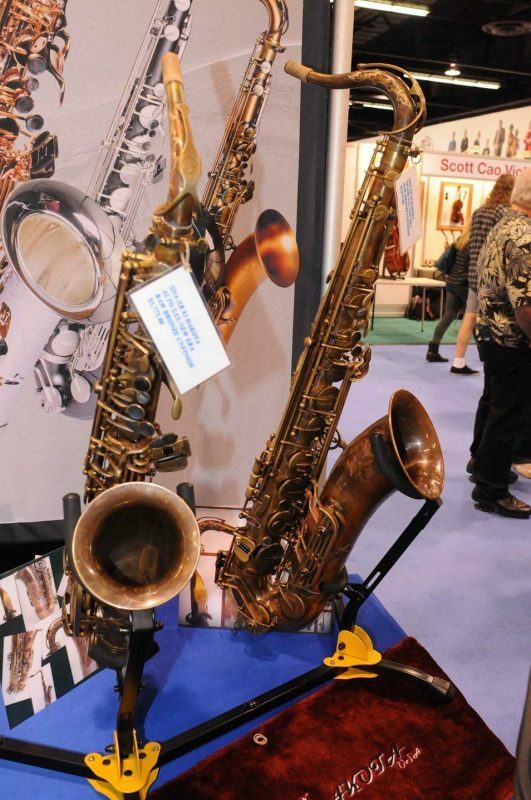 The specs remain consistent with previous Sax Dakota altos and tenors, except no lacquered brass and a revised bell and bow size based on horns from the 1930s. Alto: 4.75-inch, tenor: 5.95-inch-both horns featuring a gradual taper from the bow collar. Gearhead: "Is That a Cello?"